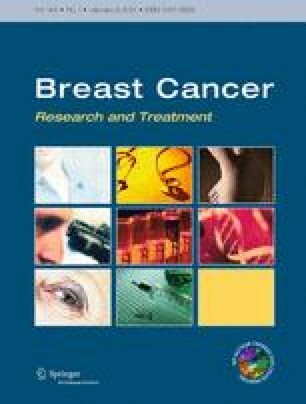 This phase I/II dose-escalation study investigated the maximum tolerated dose (MTD), safety, pharmacokinetics, and efficacy of the pan-class I phosphoinositide 3-kinase inhibitor pilaralisib in combination with trastuzumab (Arm 1) or trastuzumab plus paclitaxel (Arm 2) in patients with HER2-positive metastatic breast cancer. Patients had progressed on prior trastuzumab (Arms 1 and 2) and received prior taxane (Arm 2). The MTD of pilaralisib was determined using a 3 + 3 dose-escalation design (starting dose 200 mg once daily). Forty-two patients were enrolled (21 in each arm). Five patients had a dose-limiting toxicity (DLT; three in Arm 1 and two in Arm 2). Dose-limiting toxicities were rash (three patients) and neutropenia (two patients). The MTD of pilaralisib was determined at 400 mg once daily in both arms. The most frequently reported treatment-related adverse events (AEs) were diarrhea (23.8 % in Arm 1 vs. 66.7 % in Arm 2), fatigue (14.3 vs. 42.9 %), and rash (33.3 vs. 38.1 %). The most frequently reported treatment-related grade ≥3 AEs were erythematous rash (9.5 %) in Arm 1 and diarrhea, peripheral neuropathy, and neutropenia (14.3 % each) in Arm 2. Steady-state pilaralisib exposure was similar to previous studies with pilaralisib monotherapy. No responses occurred in Arm 1; four of 20 evaluable patients (20 %) in Arm 2 had a partial response. Observed PIK3CA mutations in cell-free circulating DNA did not correlate with response. Pilaralisib in combination with trastuzumab with or without paclitaxel had an acceptable safety profile in metastatic HER2-positive breast cancer, with clinical activity in the paclitaxel arm. This study was funded by Sanofi. The authors received editorial support from Simone Blagg of MediTech Media, funded by Sanofi. The authors would like to thank the patients included in the trial and Patricia M. LoRusso, DO at the Yale Cancer Center for her contributions to the study. Frank Campana, Bin Wu, Yi Xu, and Jason Jiang are employees of Sanofi. Ingrid A. Mayer has had a consultant/advisory role for Novartis and Genentech. Cristina Saura has had a consultant/advisory role for Puma Biotechnology. Eric Winer has received remuneration for travel from Novartis and has received funding from Genentech. Ian Krop has received funding from Genentech. Sara Tolaney, Howard Burris, Elaina Gartner, Matthew Maurer, Eva Ciruelos, and Agustin A. Garcia have no conflicts to disclose. These experiments comply with the current laws of the countries in which they were performed.